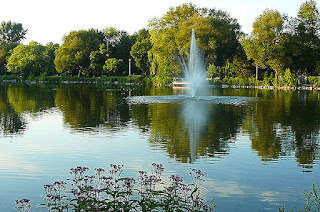 Hope you can join us for a relaxing evening picnic at Mill Pond in Richmond Hill on Monday July 16th between 5 pm and 8 pm (rain date Wednesday 18th July). A donation of a Toonie for BWS funds would be greatly appreciated! The picnic/paint out is a chance to socialize in the summer sunshine, watch the wildlife, draw, paint or take photographs with like minded people. Set up your easel and paint plein aire. Plenty of beautiful scenes to capture on paper or canvas or animals to use as subjects. We will gather on the grassy area near the bandstand. Hope to see you there. Put these dates in your Calenders!